During the last few years, Polish anglers have shown a remarkable interest for the Kvalvik attractants. Now we are delighted to announce that Kvalvik Bait will be available in fishing tackle shops around Poland through EXPERT, which is one of the most recognized manufacturers and distributors of angling gear in Poland. 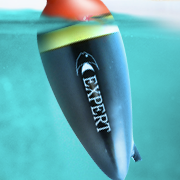 EXPERT started out with manufacturing floats and have later developed to become a distributor of fishing tackle, with SPRO and Gamakatsu in their portfolio to mention a few. Their team frequently visits Norway for sea fishing, and it is a pleasure to cooperate with people who are equally dedicated to creating great fishing moment as we are.